We are a group of Board Certified Allergists/Immunologists practicing state of the art medicine in the heart of Manhattan. Our allergists are seasoned, accomplished physicians, all who are Board Certified in at least two specialties. They are licensed in the state of New York and Florida. Our goal is to provide individual, comprehensive, up-to-date allergy and immunology care to all our patients. We treat children and adults. We treat a wide variety of allergies from food allergies to chemical allergies. Our specialists offer specialized services from allergy testing, allergy treatments, chemical patch tests, biologic injectables, immunotherapy and immunology to name a few. Don’t let your allergies get the best of you. Come to our office where you can get tested, get treated, and get better! Dr. Saint Amand is a graduate of Duke University School of Medicine. He completed his residency at The New York Hospital Cornell Medical Center. He then pursued his specialty training in Allergy and Clinical Immunology at The Robert Cooke Institute at Roosevelt Hospital. During the 1920s, Dr. Cooke founded the first clinical programs in the field of allergy, first at Cornell University Medical Center and then at the Cooke Institute. 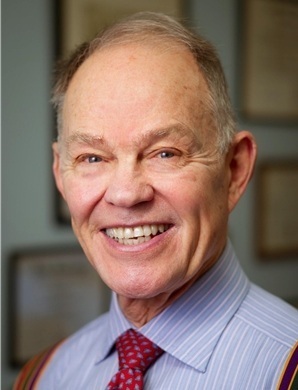 Dr. Saint Amand has been in the practice of Pediatric and Adult Allergy and Clinical Immunology for 40 years. He is Board certified in Allergy and Clinical Immunology. He is also a Fellow of the American Academy of Allergy, Asthma and Immunology, and a member of the American College of Allergy Asthma and Immunology. Dr. Saint Amand is the Chief of Pediatric Allergy at Lenox Hill Hospital. He is married and has two children. He enjoys golf and travel. Dr. Ira Finegold began his career as a research immunologist at the National Institute of Health. He then completed Internal Medicine and Allergy training programs. He is Board Certified in both specialties. Dr. Finegold attended the University of Chicago, graduating with Honors in the MD program as well as receiving a Master’s Degree in Pathology with the emphasis on Immunology. Therefore, he is uniquely trained to practice both Allergy and Immunology. Dr. Finegold is known nationally and internationally as an expert in allergen Immunotherapy as well as diagnosing and treating “mysterious “allergic problems. He treats adults and children with all types of allergic and immunologic disorders. Dr. Finegold is currently Chief of the Division of Allergy at Mount Sinai West in New York City, Director of the RA Cooke Institute of Allergy and Professor of Medicine at the Icahn School of Medicine at Mount Sinai Hospital in New York. He is a Past President of the American College of Allergy, Asthma and Immunology, a Fellow of that Society as well as the American Academy of Asthma, Allergy and Immunology and a Fellow of the American College of Physicians. Dr. Ira Finegold has written many articles for scientific journals on Immunotherapy, eye allergy, drug desensitization, anti IgE, mold allergy, stinging insect allergy, and chapters in text books on food additives, and immunotherapy. He has lectured at many National and International Meetings. Dr. Finegold believes that it is essential to have a detailed review of the patient’s illness history and urges complicated patients to bring records to the initial visit or submit them in advance. Dr. Vahid Rahimian is an Allergist treating patients in New York City. He is certified by the American Board of Allergy and Immunology, 2012 and the American Board of Internal Medicine, 2010. His interests include asthma, food allergy, drug allergy, allergic rhinitis and chronic sinusitis. Dr. Rahimian treats patients for many conditions including animal, food, drug, and seasonal allergies, eczema, asthma, rash and hives. He was selected as a Top Allergist/Immunologist in New York by the International Association of HealthCare Professionals. Food allergies have been on the rise over the past few decades, affecting approximately 15 million Americans. Allergic reactions to food can range from a mild itchy mouth to a severe, life-threatening reaction. Food allergy symptoms usually develop within a few minutes to a few hours after ingestion. In some people, a food allergy can trigger a severe allergic reaction called anaphylaxis. Emergency treatment is critical for anaphylaxis. Untreated, anaphylaxis can be fatal. Perennial allergies are often caused by common indoor triggers such as dust mites, mold, pets and cockroaches. Seasonal allergy triggers generally include trees, grasses, or weeds. Symptoms include stuffy or runny noses,itchy eyes, sneezing, and sometimes wheezing. Contact dermatitis typically causes a pink or red itchy rash. Pinpointing the exact cause of contact dermatitis can be difficult. Asthma is a common long-term inflammatory disease of the airways of the lungs. It is characterized by variable and recurring symptoms, reversible airflow obstruction, and bronchiospasm. Symptoms include episodes of wheezing, coughing, chest tightness, and shortness of breath. These may occur a few times a day or a few times per week. Depending on the person, they may become worse at night or with exercise. Hives, also known as Urticaria, affects about 20 percent of the population at some time in their lives. It can be triggered by many substances or situations and usually starts as an itchy patch of skin that turns into swollen red welts. APPOINTMENT HOURS VARY BY PHYSICIAN.